바이런 베이 - 바이런 베이에 있는 호스텔. 바이런 베이의 지도, 바이런 베이에 위치한 호스텔 사진 및 후기 정보. 바이런 베이에 호스텔, 저렴한 호텔, 아파트, 게스트 하우스, B & B를 찾고 계십니까? 바이런 베이의 모든 최고의 가격은 kr.Dorms.com안에 있습니다. 매달 수천명의 여행자들이 이곳에서 예약을 진행하시듯이 고객님도 바이런 베이의 저렴한 가격에의 호스텔을 안전하게 예약하실 수 있습니다. 웹사이트에 고객님이 원하시는 핫 트렌디 시내 주변의 호스텔을 쉽게 찾을 수 있으며, 대학가, 기차역, 공항, 모든 바이런 베이의 관광명소에서 가까운 호스텔을 찾을 수 있습니다. 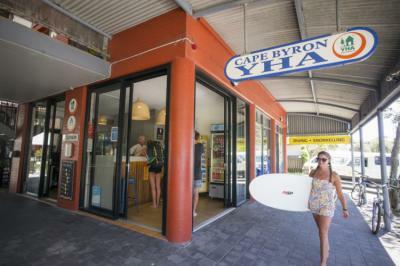 Cape Byron YHA hostel is located in the centre of town, just 200m from the beach and cycle trails. A short stroll to shops, cafe's, bars and supermarkets, you'll love meandering around the markets and tiny shops Byron has to offer. 호주 본토의 가장 부활절 포인트는 3.2km 거리에 있으며 아름다운 산책로를 이용합니다. Firstly, the staff was the friendliest I have ever met and they were helpful andkind even after our check-out. The location was perfekt and I warmly recomend the Lighthouse Tour that the hostel offers for everyone! The pool is clean and the rooms as well! The only thing is that you do not have a bathroom at your room but the kitchen and the bathroom spaces are good and clean. The atmosphere is Awsome! Loved my stay! Love the bike hire and pool! The top deck was also nice for hanging out Was a bit cold for the pool but it was nice having that area! Location, character, friendliness of staff. Good location, rooms are basic but tidy, close to Aldi and woolworths isn&apos;t a far work either. You can borrow bikes and surfboards for free. The kitchen was amasing and everything seems new. Great place to stay. This hostel seems new. 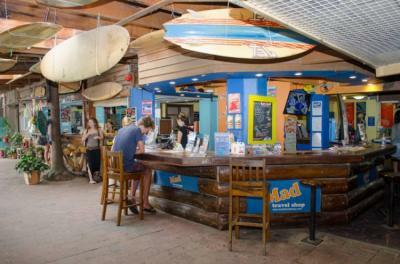 The Arts Factory Lodge Hostel is located only 10 minutes walk from the beach! 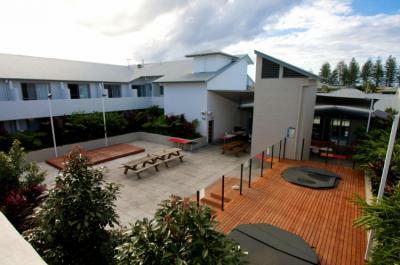 Guests love our convenient location and the heaps of green space around our hostel. Located just 2 minutes from the stunning main beach, behind the iconic Great Northern Hotel, Nomads Byron Bay is the perfect place to stay in the centre of town. The staff are very friendly and happy! There&apos;s fun things to do throughout the day and night. Location was good as it was only a short walk to town! Great, chilled atmosphere and captured the magic of Byron! The rooms and the bathrooms were nice and clean. The beds were surprisingly comfortable and the staff were super helpful. The overall vibe was super relaxed and the amenities were good. Loved the atmosphere, lots of friendly people and always something happening. 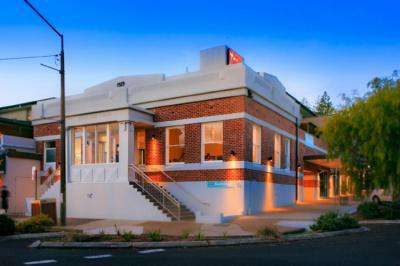 Located at the heart of Byron Bay it's easy access to everything. Lots of places to hangout, lots of guests, staff tried their best to keep the area clean but there will always be people who doesn't clean up after themselves. There is always something going on or activities planned by the staff. Very good location, friendly staff. The hostel could use some TLC.